Totaling of 228 deep, tech-twisted bass loops, filtered loops, moving pads, dusty Wurlitzer keys, bright M1 pianos, old school chords, soulful vocals, groovin' percussion tops, stripped drum loops and background FX. 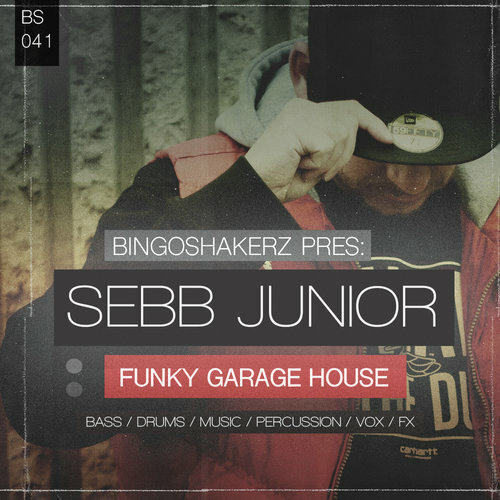 Started out in early 90s – Sebb developed his sound into the studio and quickly got signed by Miguel Migs Salted Music, Chicago's legendary label Large Music, Kerri Chandler's Madhouse Records, Papa Records, and some other well respected imprints. His tracks also appeared on such record labels as Toolroom, Milk & Sugar or Kontor Records. • 20 Background & FX Loops.